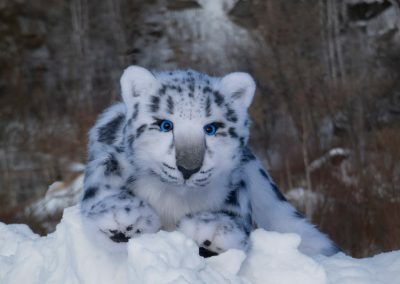 Meet our new team member – snow leopard Altai 😊. He will go with us to the tourist fairs in Dresden and Berlin this year. One of the things we do to prepare for the coming year, is visiting some fairs. 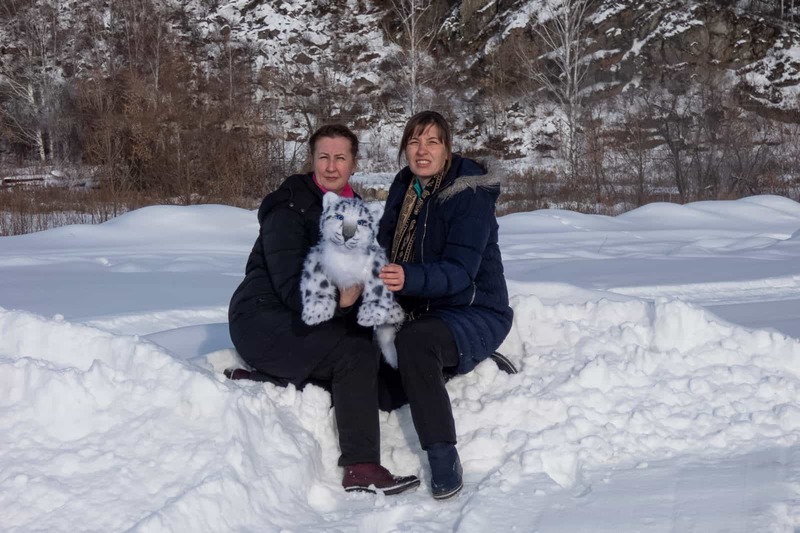 Thinking how to decorate our stand, we have realized that since one of our trips is called “Altai mountains – on the land of the snow leopard”, a snow leopard would be the best representative of Altai. 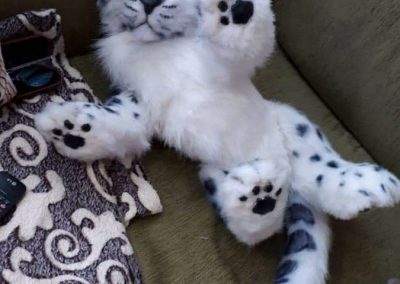 So we went back to internet to find descriptions how to make one. 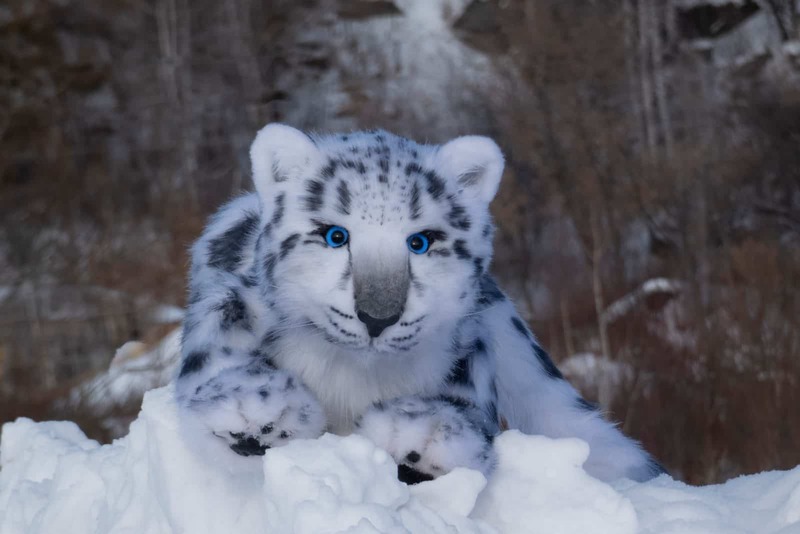 We found out that a whole industry of creating realistic toys exists. 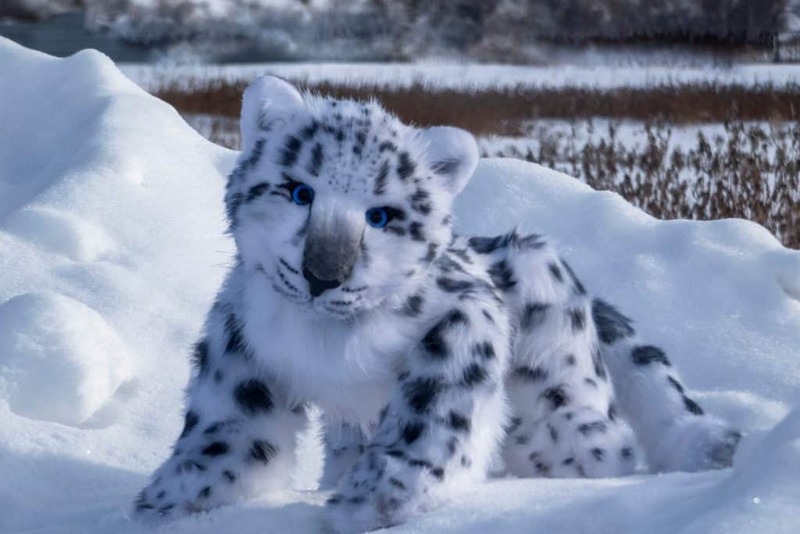 We had to learn a lot, made many mistakes and tried a lot of options, studied hundreds of pictures of snow leopards and make our snow leopard as original as possible. But in the end this nice boy was created. 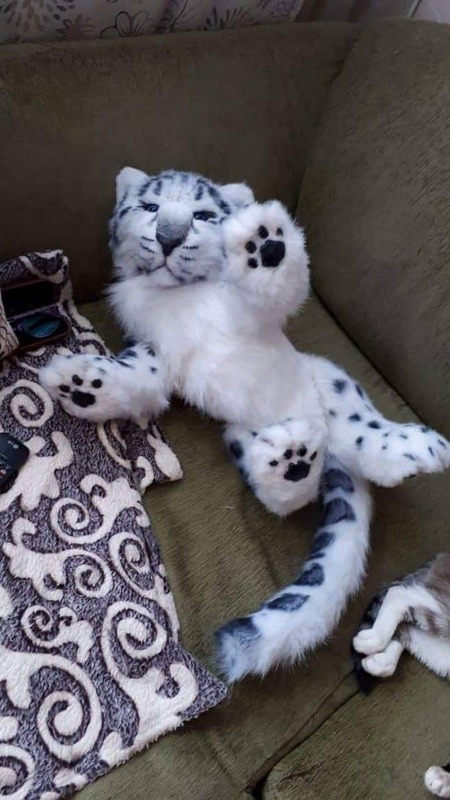 He can move and bend his legs, turn his head and wrap his tail. We will show the backstage of our work in our next posts. 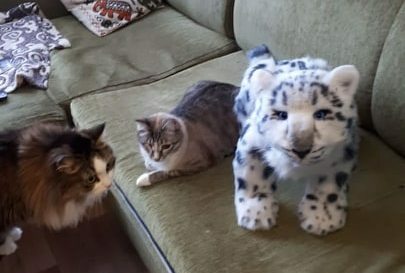 The best appreciation for us was the great interest of our cats and one of them was really scared by our own snow leopard))). 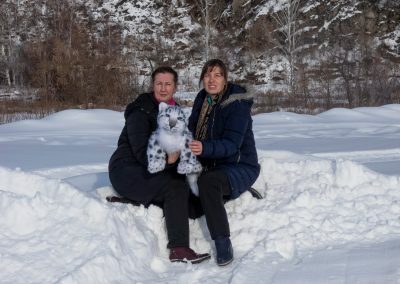 Yesterday we drove to Gorno-Altaisk and showed our new friend his land. 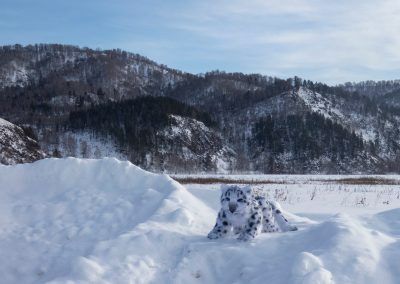 He was happy to see the mountains and showed a lot of emotions, just like our guests always do 😊. You can see even different expressions in his eyes on the pictures.